Before :- Kurian Joseph and R.F. Nariman, JJ. Civil Appeal No. 10084 of 2016 (Arising Out of SLP (Civil) No. 9132 of 2015). D/d. 6.10.2016. Counsel for the Parties :- H.P. Raval, Sr. Adv., Naren Thakare, Bhargava V. Desai, Ms. Akriti Dewan, Ms. Pinky Anand, ASG, Ajay Sharma, Shailender Saini, Karan Seth, Rajesh Ranjan, Ms. Kritika Sachdeva, Shashank Dewan, Gurmeet Singh Makker, Nishant R. Katneshwarkar, Arpit Rai, Ms. Meenakshi Arora, Sr. Adv., Ms. Manisha T. Karia, Ms. Shristi, Ms. Nidhi Nagpal, Mudit Sud, Advocates. For the Respondents :- Respondent-in-person. R.F. Nariman, J. - Leave granted. "In view of the above discussion and in view of the fact that the decision of the Delhi High Court in Kusum Lata Sharma's case has not been disturbed by the Supreme Court, we are inclined to read down the provisions of section 2(q) of the DV Act and to hold that the provisions of "respondent" in section 2(q) of the DV Act is not to be read in isolation but has to be read as a part of the scheme of the DV Act, and particularly along with the definitions of "aggrieved person", "domestic relationship" and "shared household" in clauses (a), (f) and (s) of section 2 of the DV Act. If so read, the complaint alleging acts of domestic violence is maintainable not only against an adult male person who is son or brother, who is or has been in a domestic relationship with the aggrieved complainant- mother or sister, but the complaint can also be filed against a relative of the son or brother including wife of the son / wife of the brother and sisters of the male respondent. In other words, in our view, the complaint against the daughter-in-law, daughters or sisters would be maintainable under the provisions of the DV Act, where they are corespondent/ s in a complaint against an adult male person, who is or has been in a domestic relationship with the complainant and such corespondent/ s. It must, of course, be held that a complaint under the DV Act would not be maintainable against daughter-in-law, sister-in- law or sister of the complainant, if no complaint is filed against an adult male person of the family." 7. The present appeal has been filed against this judgment. Shri Harin P. Raval, learned senior advocate appearing on behalf of the appellants, assailed the judgment, and has argued before us that it is clear that the "respondent" as defined in Section 2(q) of the said Act can only mean an adult male person. He has further argued that the proviso to Section 2(q) extends "respondent" only in the case of an aggrieved wife or female living in a relationship in the nature of a marriage, in which case even a female relative of the husband or male partner may be arraigned as a respondent. He sought to assail the judgment on the ground that the Court has not read down the provision of Section 2(q), but has in fact read the proviso into the main enacting part of the said definition, something that was impermissible in law. He has argued before us that the 2005 Act is a penal statute and should be strictly construed in the event of any ambiguity. He further argued that in fact there was no ambiguity because the expression "adult male person" cannot be diluted in the manner done by the High Court in the impugned judgment. He cited a large number of judgments on the golden rule of literal construction, on how reading down cannot be equated to re-reading in constitutional law, and on how a proviso cannot be introduced into the main part of a provision so as to distort its language. He also cited before us judgments which stated that even though a statute may lead to some hardship, that would not necessarily render the provision unconstitutional nor, in the process of interpretation, can a Court mend or bend the provision in the face of the plain language used. He also cited judgments before us stating that given the plain language, it is clear that it is only for the legislature to make the changes suggested by the High Court. 8. Ms. Meenakshi Arora, learned senior counsel appearing on behalf of the respondents, countered each of these submissions. First and foremost, she argued that the 2005 Act is a piece of social beneficial legislation enacted to protect women from domestic violence of all kinds. This being the case, it is clear that any definition which seeks to restrict the reach of the Act would have to be either struck down as being violative of Article 14 of the Constitution or read down. According to her, given the object of the statute, which is discernible clearly from the statement of objects and reasons, the preamble, and various provisions of the 2005 Act which she took us through, it is clear that the expression "adult male person" is a classification not based on any intelligible differentia, and not having any rational relationship with the object sought to be achieved by the Act. In fact, in her submission, the said expression goes contrary to the object of the Act, which is to afford the largest possible protection to women from domestic violence by any person, male or female, who happens to share either a domestic relationship or shared household with the said woman. In the alternative, she argued that the High Court judgment was right, and that if the said expression is not struck down, it ought to be read down in the manner suggested to make it constitutional. She also added that the doctrine of severability would come to her rescue, and that if the said expression were deleted from Section 2(q), the Act as a whole would stand and the object sought to be achieved would only then be fulfilled. She referred to a large number of judgments on Article 14 and the doctrine of severability generally. She also argued that within the definition of "shared household" in Section 2(s) of the Act, the "respondent" may be a member of a joint family. She has adverted to the amendment made to the Hindu Succession Act in 2005, by which amendment females have also become coparceners in a joint Hindu family, and she argued that therefore the 2005 Act is not in tune with the march of statutory law in other areas. She also countered the submission of Shri Raval stating that the 2005 Act is in fact a piece of beneficial legislation which is not penal in nature but which affords various remedies which are innovative in nature and which cannot be availed of in the ordinary civil courts. She added that Section 31 alone was a penal provision for not complying with a protection order, and went on to state that the modern rule as to penal provisions is different from that sought to be contended by Shri Raval, and that such rule requires the court to give a fair interpretation to the provisions of these statutes, neither leaning in favour of the accuser or the accused. She also added that given the beneficial statute that we have to strike down/interpret, a purposive construction alone should be given, and as the offending expression "adult male person" is contrary to such purpose and would lead to absurdities and anomalies, it ought to be construed in tune with the Act as a whole, which therefore would include females, as well, as respondents. She also pointed out that, at present, the sweep of the Act was such that if a mother-in-law or sister-in-law were to be an aggrieved person, they could only be aggrieved against adult male members and not against any opposing female member of a joint family - for example, a daughter-in-law or a sister-in-law. This will unnecessary stultify what was sought to be achieved by the Act, and would make the Act a dead letter insofar as these persons are concerned. She also argued that the Act would become unworkable in that the reliefs that were to be given would only be reliefs against adult male members and not their abettors who may be females. 9. Ms. Pinky Anand, learned Additional Solicitor General for India, more or less adopted the arguments of the counsel who appeared for the Union of India in the Bombay High Court. It was her submission that in view of the judgment in Kusum Lata Sharma v. State, 2012(1) R.C.R. (Criminal) 924 : (Crl. M.C. No.725 of 2011 dated 2.9.2011) of the Delhi High Court, laying down that the mother-in-law is also entitled to file a complaint against the daughter-in-law under the provisions of the 2005 Act, and the SLP against the said judgment having been dismissed by the Supreme Court, her stand was that it would be open to a mother-in-law to file a complaint against her son as well as her daughter-in-law and other female relatives of the son. In short, she submitted that the impugned judgment does not require interference at our end. There is thus a clear distinction between the two. While the purpose or object of the legislation is to provide a remedy for the malady, the legislative intention relates to the meaning or exposition of the remedy as enacted. While dealing with the validity of a classification, the rational nexus of the differentia on which the classification is based has to exist with the purpose or object of the legislation, so determined. The question next is of the manner in which the purpose or object of the enactment has to be determined and the material which can be used for this exercise. For determining the purpose or object of the legislation, it is permissible to look into the circumstances which prevailed at the time when the law was passed and which necessitated the passing of that law. For the limited purpose of appreciating the background and the antecedent factual matrix leading to the legislation, it is permissible to look into the Statement of Objects and Reasons of the Bill which actuated the step to provide a remedy for the then existing malady. In A. Thangal Kunju Musaliar v. M. Venkitachalam Potti [(1955) 2 SCR 1196 : AIR 1956 SC 246 : (1956) 29 ITR 349] , the Statement of Objects and Reasons was used for judging the reasonableness of a classification made in an enactment to see if it infringed or was contrary to the Constitution. In that decision for determining the question, even affidavit on behalf of the State of "the circumstances which prevailed at the time when the law there under consideration had been passed and which necessitated the passing of that law" was relied on. It was reiterated in State of West Bengal v. Union of India [(1964) 1 SCR 371 : AIR 1963 SC 1241] that the Statement of Objects and Reasons accompanying a Bill, when introduced in Parliament, can be used for `the limited purpose of understanding the background and the antecedent state of affairs leading up to the legislation'. Similarly, in Pannalal Binjraj v. Union of India [1957 SCR 233 : AIR 1957 SC 397 : (1957) 31 ITR 565] a challenge to the validity of classification was repelled placing reliance on an affidavit filed on behalf of the Central Board of Revenue disclosing the true object of enacting the impugned provision in the Income Tax Act." "The scope of Article 14 has been authoritatively laid down by this Court in innumerable decisions including Budhan Choudhry v. State of Bihar [(1955) 1 SCR 1045 : AIR 1955 SC 191] , Ram Krishna Dalmia v. Justice S.R. Tendolkar [1959 SCR 279 : AIR 1958 SC 538] , Western U.P. Electric Power and Supply Co. Ltd. v. State of U.P. [(1969) 1 SCC 817] and Mohd. Hanif Quareshi v. State of Bihar [1959 SCR 629 : AIR 1958 SC 731] . To be permissible under Article 14 of the Constitution a classification must satisfy two conditions namely (i) that the classification must be founded on an intelligible differentia which distinguishes persons or things that are grouped together from others left out of the group and (ii) that differentia must have a rational relation to the object sought to be achieved by the statute in question. The classification may be founded on different basis, but what is necessary is that there must be a nexus between the basis of classification and the object of the Act under consideration. "Statement of Objects and Reasons of the East Punjab Urban Rent Restriction Act, 1949 (Act 3 of 1949).- Under Article 6 of the India (Provisional Constitution) Order, 1947, any law made by the Governor of the Punjab by virtue of Section 93 of the Government of India Act, 1935, which was in force immediately before 15-8-1947, is to remain in force for two years from the date on which the Proclamation ceased to have effect, viz., 14-8-1947. A Governor's Act will, therefore, cease to have effect on 14-8-1949. It is desired that the Punjab Urban Rent Restriction Act, 1947 (Punjab Act No. VI of 1947), being a Governor's Act, be re-enacted as a permanent measure, as the need for restricting the increase of rents of certain premises situated within the limits of urban areas and the protection of tenants against mala fide attempts by their landlords to procure their eviction would be there even after 14-8-1949. In order to achieve the above object, a new Act incorporating the provisions of the Punjab Urban Rent Restriction Act, 1947 with necessary modification is being enacted." It is obvious from the objects and reasons quoted above that the primary purpose for legislating the Act was to protect the tenants against the mala fide attempts by their landlords to procure their eviction. Bona fide requirement of a landlord was, therefore, provided in the Act - as originally enacted - a ground to evict the tenant from the premises whether residential or non-residential. "An Act to provide for more effective protection of the rights of women guaranteed under the constitution who are victims of violence of any kind occurring within the family and for matters connected therewith or incidental thereto." 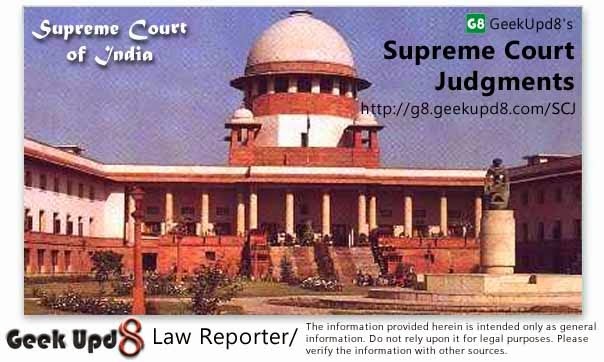 (q) "respondent" means any adult male person who is, or has been, in a domestic relationship with the aggrieved person and against whom the aggrieved person has sought any relief under this Act: Provided that an aggrieved wife or female living in a relationship in the nature of a marriage may also file a complaint against a relative of the husband or the male partner. (s) "shared household" means a household where the person aggrieved lives or at any stage has lived in a domestic relationship either singly or along with the respondent and includes such a household whether owned or tenanted either jointly by the aggrieved person and the respondent, or owned or tenanted by either of them in respect of which either the aggrieved person or the respondent or both jointly or singly have any right, title, interest or equity and includes such a household which may belong to the joint family of which the respondent is a member, irrespective of whether the respondent or the aggrieved person has any right, title or interest in the shared household. (c) prohibition or restriction to continued access to resources or facilities which the aggrieved person is entitled to use or enjoy by virtue of the domestic relationship including access to the shared household. Explanation II.-For the purpose of determining whether any act, omission, commission or conduct of the respondent constitutes "domestic violence" under this section, the overall facts and circumstances of the case shall be taken into consideration. 17. Right to reside in a shared household.- (1) Notwithstanding anything contained in any other law for the time being in force, every woman in a domestic relationship shall have the right to reside in the shared household, whether or not she has any right, title or beneficial interest in the same. 18. It will be noticed that the definition of "domestic relationship" contained in Section 2(f) is a very wide one. It is a relationship between persons who live or have lived together in a shared household and are related in any one of four ways - blood, marriage or a relationship in the nature of marriage, adoption, or family members of a joint family. A reading of these definitions makes it clear that domestic relationships involve persons belonging to both sexes and includes persons related by blood or marriage. This necessarily brings within such domestic relationships male as well as female in-laws, quite apart from male and female members of a family related by blood. Equally, a shared household includes a household which belongs to a joint family of which the respondent is a member. As has been rightly pointed out by Ms. Arora, even before the 2005 Act was brought into force on 26.10.2006, the Hindu Succession Act,1956 was amended, by which Section 6 was amended, with effect from 9.9.2005, to make females coparceners of a joint Hindu family and so have a right by birth in the property of such joint family. This being the case, when a member of a joint Hindu family will now include a female coparcener as well, the restricted definition contained in Section 2(q) has necessarily to be given a relook, given that the definition of `shared household' in Section 2(s) of the Act would include a household which may belong to a joint family of which the respondent is a member. The aggrieved person can therefore make, after 2006, her sister, for example, a respondent, if the Hindu Succession Act amendment is to be looked at. But such is not the case under Section 2(q) of the 2005 Act, as the main part of Section 2(q) continues to read "adult male person", while Section 2(s) would include such female coparcener as a respondent, being a member of a joint family. This is one glaring anomaly which we have to address in the course of our judgment. 19. When Section 3 of the Act defines domestic violence, it is clear that such violence is gender neutral. It is also clear that physical abuse, verbal abuse, emotional abuse and economic abuse can all be by women against other women. Even sexual abuse may, in a given fact circumstance, be by one woman on another. Section 3, therefore, in tune with the general object of the Act, seeks to outlaw domestic violence of any kind against a woman, and is gender neutral. When one goes to the remedies that the Act provides, things become even clearer. Section 17(2) makes it clear that the aggrieved person cannot be evicted or excluded from a shared household or any part of it by the "respondent" save in accordance with the procedure established by law. If "respondent" is to be read as only an adult male person, it is clear that women who evict or exclude the aggrieved person are not within its coverage, and if that is so, the object of the Act can very easily be defeated by an adult male person not standing in the forefront, but putting forward female persons who can therefore evict or exclude the aggrieved person from the shared household. This again is an important indicator that the object of the Act will not be sub-served by reading "adult male person" as "respondent". 21. When we come to Section 19 and residence orders that can be passed by the Magistrate, Section 19(1)(c) makes it clear that the Magistrate may pass a residence order, on being satisfied that domestic violence has taken place, and may restrain the respondent or any of his relatives from entering any portion of the shared household in which the aggrieved person resides. This again is a pointer to the fact that a residence order will be toothless unless the relatives, which include female relatives of the respondent, are also bound by it. And we have seen from the definition of "respondent" that this can only be the case when a wife or a common law wife is an aggrieved person, and not if any other woman belonging to a family is an aggrieved person. Therefore, in the case of a wife or a common law wife complaining of domestic violence, the husband's relatives including mother-in-law and sister-in-law can be arrayed as respondents and effective orders passed against them. But in the case of a mother-in-law or sister-in-law who is an aggrieved person, the respondent can only be an "adult male person" and since his relatives are not within the main part of the definition of respondent in Section 2(q), residence orders passed by the Magistrate under Section 19(1) (c) against female relatives of such person would be unenforceable as they cannot be made parties to petitions under the Act. 23. When we come to Section 26 of the Act, the sweep of the Act is such that all the innovative reliefs available under Sections 18 to 22 may also be sought in any legal proceeding before a civil court, family court or criminal court affecting the aggrieved person and the respondent. The proceeding in the civil court, family court or criminal court may well include female members of a family, and reliefs sought in those legal proceedings would not be restricted by the definition of "respondent" in the 2005 Act. Thus, an invidious discrimination will result, depending upon whether the aggrieved person chooses to institute proceedings under the 2005 Act or chooses to add to the reliefs available in either a pending proceeding or a later proceeding in a civil court, family court or criminal court. It is clear that there is no intelligible differentia between a proceeding initiated under the 2005 Act and proceeding initiated in other fora under other Acts, in which the self-same reliefs grantable under this Act, which are restricted to an adult male person, are grantable by the other fora also against female members of a family. This anomaly again makes it clear that the definition of "respondent" in Section 2(q) is not based on any intelligible differentia having any rational relation to the object sought to be achieved by the 2005 Act. The restriction of such person to being an adult male alone is obviously not a differentia which would be in sync with the object sought to be achieved under the 2005 Act, but would in fact be contrary to it. 24. Also, the expression "adult" would have the same effect of stultifying orders that can be passed under the aforesaid sections. It is not difficult to conceive of a non-adult 16 or 17 year old member of a household who can aid or abet the commission of acts of domestic violence, or who can evict or help in evicting or excluding from a shared household an aggrieved person. Also, a residence order which may be passed under Section 19(1)(c) can get stultified if a 16 or 17 year old relative enters the portion of the shared household in which the aggrieved person resides after a restraint order is passed against the respondent and any of his adult relatives. Examples can be multiplied, all of which would only lead to the conclusion that even the expression "adult" in the main part is Section 2(q) is restrictive of the object sought to be achieved by the kinds of orders that can be passed under the Act and must also be, therefore, struck down, as this word contains the same discriminatory vice that is found with its companion expression "male". "The appellant, admittedly, entered into a live-in relationship with the respondent knowing that he was a married person, with wife and two children, hence, the generic proposition laid down by the Privy Council in Andrahennedige Dinohamy v. Wijetunge Liyanapatabendige Balahamy [(1928) 27 LW 678 : AIR 1927 PC 185] , that where a man and a woman are proved to have lived together as husband and wife, the law presumes that they are living together in consequence of a valid marriage will not apply and, hence, the relationship between the appellant and the respondent was not a relationship in the nature of a marriage, and the status of the appellant was that of a concubine. A concubine cannot maintain a relationship in the nature of marriage because such a relationship will not have exclusivity and will not be monogamous in character. Reference may also be made to the judgments of this Court in Badri Prasad v. Director of Consolidation [(1978) 3 SCC 527] and Tulsa v. Durghatiya, 2008(1) R.C.R. (Civil) 814 : (2008) 4 SCC 520. We may note that, in the instant case, there is no necessity to rebut the presumption, since the appellant was aware that the respondent was a married person even before the commencement of their relationship, hence the status of the appellant is that of a concubine or a mistress, who cannot enter into relationship in the nature of a marriage. The long-standing relationship as a concubine, though not a relationship in the nature of a marriage, of course, may at times, deserves protection because that woman might not be financially independent, but we are afraid that the DV Act does not take care of such relationships which may perhaps call for an amendment of the definition of Section 2(f) of the DV Act, which is restrictive and exhaustive. "Nothing contained in this Act shall apply to any residential building or part thereof occupied by anyone tenant if the monthly rent paid by him in respect of that building or part exceeds four hundred rupees." "It seems to us that classification which is made in Section 6-A on the basis of status in government service is not permissible under Article 14 as it defeats the purpose of finding prima facie truth into the allegations of graft, which amount to an offence under the PC Act, 1988. Can there be sound differentiation between corrupt public servants based on their status? Surely not, because irrespective of their status or position, corrupt public servants are corrupters of public power. The corrupt public servants, whether high or low, are birds of the same feather and must be confronted with the process of investigation and inquiry equally. Based on the position or status in service, no distinction can be made between public servants against whom there are allegations amounting to an offence under the PC Act, 1988. 54. A reasonable classification is one which includes all who are similarly situated and none who are not." 36. A conspectus of these judgments also leads to the result that the microscopic difference between male and female, adult and non adult, regard being had to the object sought to be achieved by the 2005 Act, is neither real or substantial nor does it have any rational relation to the object of the legislation. In fact, as per the principle settled in the Subramanian Swamy judgment, the words "adult male person" are contrary to the object of affording protection to women who have suffered from domestic violence "of any kind". We, therefore, strike down the words "adult male" before the word "person" in Section 2(q), as these words discriminate between persons similarly situate, and far from being in tune with, are contrary to the object sought to be achieved by the 2005 Act. Having struck down these two words from the definition of "respondent" in Section 2(q), the next question that arises is whether the rest of the Act can be implemented without the aforesaid two words. This brings us to the doctrine of severability - a doctrine well-known in constitutional law and propounded for the first time in the celebrated R.M.D. Chamarbaugwalla v. Union of India, 1957 SCR 930. This judgment has been applied in many cases. It is not necessary to refer to the plethora of case law on the application of this judgment, except to refer to one or two judgments directly on point. "In view of the above discussion, we hold that Section 14(1)(e) of the 1958 Act is violative of the doctrine of equality embodied in Article 14 of the Constitution of India insofar as it discriminates between the premises let for residential and non-residential purposes when the same are required bona fide by the landlord for occupation for himself or for any member of his family dependent on him and restricts the latter's right to seek eviction of the tenant from the premises let for residential purposes only. While adopting this course, we have kept in view well-recognised rule that if the offending portion of a statute can be severed without doing violence to the remaining part thereof, then such a course is permissible-R.M.D. Chamarbaugwalla v. Union of India [AIR 1957 SC 628] and Lt. Col. Sawai Bhawani Singh v. State of Rajasthan[(1996) 3 SCC 105]. 40. An application of the aforesaid severability principle would make it clear that having struck down the expression "adult male" in Section 2(q) of the 2005 Act, the rest of the Act is left intact and can be enforced to achieve the object of the legislation without the offending words. Under Section 2(q) of the 2005 Act, while defining `respondent', a proviso is provided only to carve out an exception to a situation of "respondent" not being an adult male. Once we strike down `adult male', the proviso has no independent existence, having been rendered otiose. a) "aggrieved person" means any woman who is or has been a relative of the respondent and who alleges to have been subjected to acts of domestic violence by the respondent;"
42. We were given to understand that the aforesaid Bill lapsed, after which the present Bill was introduced in the Lok Sabha on 22.8.2005, and was then passed by both Houses. It is interesting to note that the earlier 2002 Bill defined "respondent" as meaning "any person who is....." without the addition of the words "adult male", being in consonance with the object sought to be achieved by the Bill, which was pari materia with the object sought to be achieved by the present Act. We also find that, in another Act which seeks to protect women in another sphere, namely, the Sexual Harassment of Women at Workplace (Prevention, Prohibition and Redressal) Act, 2013, "respondent" is defined in Section 2(m) thereof as meaning a person against whom the aggrieved woman has made a complaint under Section 9. Here again it will be noticed that the prefix "adult male" is conspicuous by its absence. The 2002 Bill and the 2013 Act are in tune with the object sought to be achieved by statutes which are meant to protect women in various spheres of life. We have adverted to the aforesaid legislation only to show that Parliament itself has thought it reasonable to widen the scope of the expression "respondent" in the Act of 2013 so as to be in tune with the object sought to be achieved by such legislations. 46. We, therefore, set aside the impugned judgment of the Bombay High Court and declare that the words "adult male" in Section 2(q) of the 2005 Act will stand deleted since these words do not square with Article 14 of the Constitution of India. Consequently, the proviso to Section 2(q), being rendered otiose, also stands deleted. We may only add that the impugned judgment has ultimately held, in paragraph 27, that the two complaints of 2010, in which the three female respondents were discharged finally, were purported to be revived, despite there being no prayer in Writ Petition No.300/2013 for the same. When this was pointed out, Ms. Meenakshi Arora very fairly stated that she would not be pursuing those complaints, and would be content to have a declaration from this Court as to the constitutional validity of Section 2(q) of the 2005 Act. We, therefore, record the statement of the learned counsel, in which case it becomes clear that nothing survives in the aforesaid complaints of October, 2010. With this additional observation, this appeal stands disposed of.